I had this album imported about a month ago (I got it for Christmas) and since then, it’s pretty much been the soundtrack of my life! It is no way whatsoever a ‘sophomore slump’. Since ‘Bullet from a Gun’ is not on the version I have, I just bought it to ensure I have all the songs from Science and Faith (besides Walk Away w/ B.O.B. which I’m not too disappointed about because I like the original 1,000 times better!) 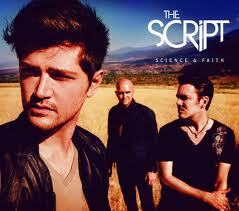 Just by listening to this album it’s clear how much The Script have grown since releasing their first album. Don’t get me wrong, I love their first, self titled album, but I feel like the way these songs are delivered are so much more emotionally complex than the first album. You can tell how much these guys care about their music just by the way they perform it! There is so much feeling in these songs which is why I love them so much. Although I love all of the songs on this album, my favorites are You Wont Feel a Thing (A Fantastic opening! Pulls you in a makes you excited for more! )For the First Time Nothing (I feel like the subject of this song- drunk dialing- could be deemed pathetic presented in a different way. But I personally view this song as simply powerful. The music for this song is amazing as well. This = Love (I think of ‘This=Love’ as the Science and Faith equivalent of ‘We Cry’ because they each deal with universal subjects, hopelessness in the case of ‘We Cry’ and love in the case of this song. I especially love the rap. Which says a lot because usually I hate rap all in all, a fantastic album. I totally recommend it. 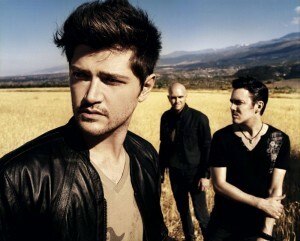 The Script is one of those bands that has never made a bad song. Seriously if you just listen to every one of their songs, you will fall in love. I saw them in concert, and oh my goodness they are SOON amazing! Danny can even sing HIGHER in concert than he does on this album. They are my favorite band of all time! Its simply incredible. Everything about this band is beyond amazing, and I guarantee you will be be so hooked that you hit replay over a million times. No joke, their music is timeless and will never grow old. Ever. I have been waiting for this album to come out for months and months ever since it was released in the UK and not in the US. It was definitely worth the wait. I LOVE THE SCRIPT. They are the best band ever!! seriously. This album is incredible, and I will be listening to it constantly for the rest of my life.